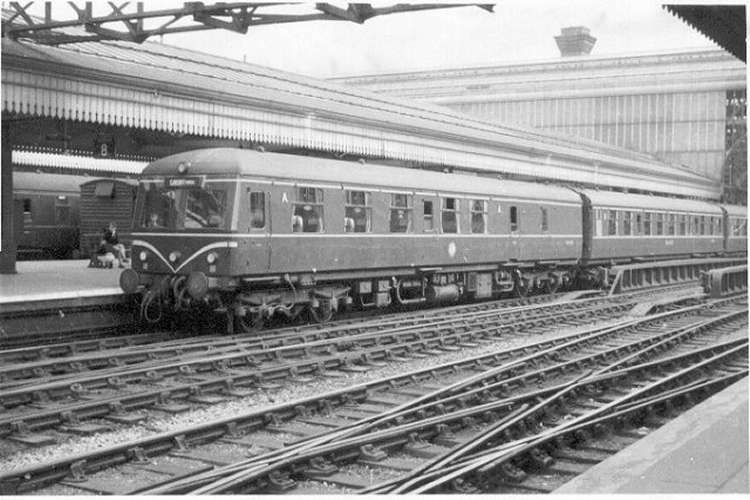 From 1958, Swindon Works built forty-eight (48) three-car diesel multiple units for use on the Western Region of British Railways on cross country routes and these units rapidly took over the long distance services from Cardiff and Hereford via Worcester to Birmingham Snow Hill. The three vehicles were of completely different designs with the centre car being non-powered. The first photograph shows No.50658 standing alongside the station at Hereford (probably in August 1958). This motor second car contained 68 Second Class seats and was powered by two B.U.T (A.E.C.) 6 cylinder horizontal type engines of 150b.h.p. The middle car of the set was originally built as a trailer buffet second that restricted the number of second class seats to 60 with four more available in the miniature buffet section at the far end in this photograph. 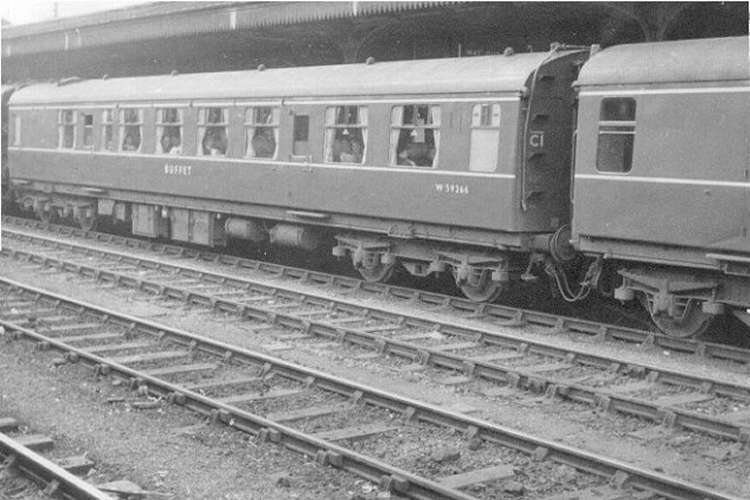 The buffet section rapidly fell into disuse locally (although still used in Scotland and on Crewe - Cardiff services until the 1970s) but the units retained the same configuration throughout the rest of their existence. No.59266 was photographed at Hereford on 2nd August 1958. Note the red “no smoking” stickers in the first two windows. At the other end of the three car set was a motor brake composite. These cars had a self-contained first class section with 18 seats and an outstanding view through the driver's cab windows. 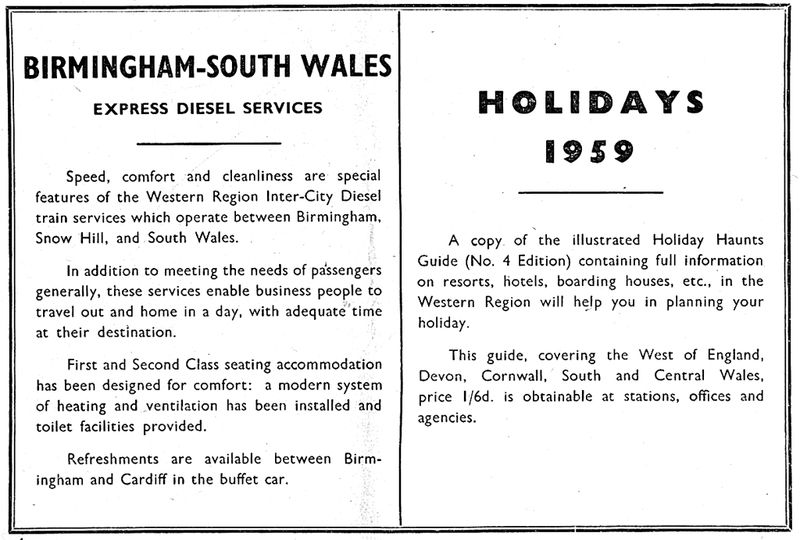 Note the “first class” stickers on the first two windows and both “No Smoking”; and “First Class” on the third window. There was space beyond the centre doors for a small 16 seat second class section with the seats arranged in four groups of four seats. There was also space for a large Guard's compartment. Power was provided by another pair of 150b.h.p engines. No.50717 is seen at Platform 8 at Birmingham Snow Hill on 7th August 1958. All three photographs from the collection on Andrew Smith. 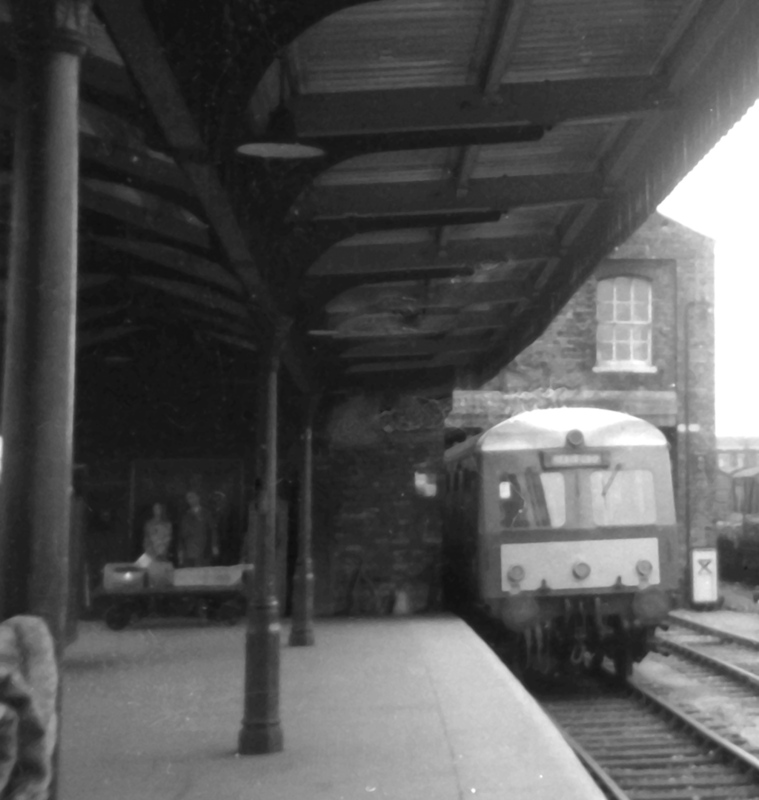 This interesting photograph, taken in 1967, shows a class 120 diesel multiple unit at the south end of Worcester Shrub Hill Station. By this time the unit was in blue livery and the 'speed whiskers' on the front had been replaced by a small yellow panel. In 2011 this platform at the station remained in use but the covered structure had long since been demolished. Photograph taken by Andrew Smith. 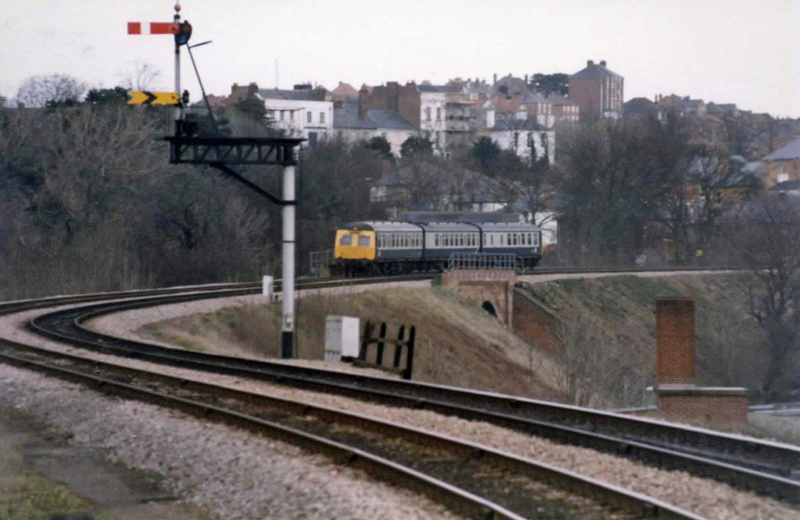 An unidentified class 120 diesel multiple unit approaching Worcester Foregate Street Station in 1985. Photograph taken by Richard Atkinson.